Secrets and Bombs 4: 15 December 1969 — That’s him! That’s him! THE PIAZZA DUOMO was packed. The trade unions had supported this rally. 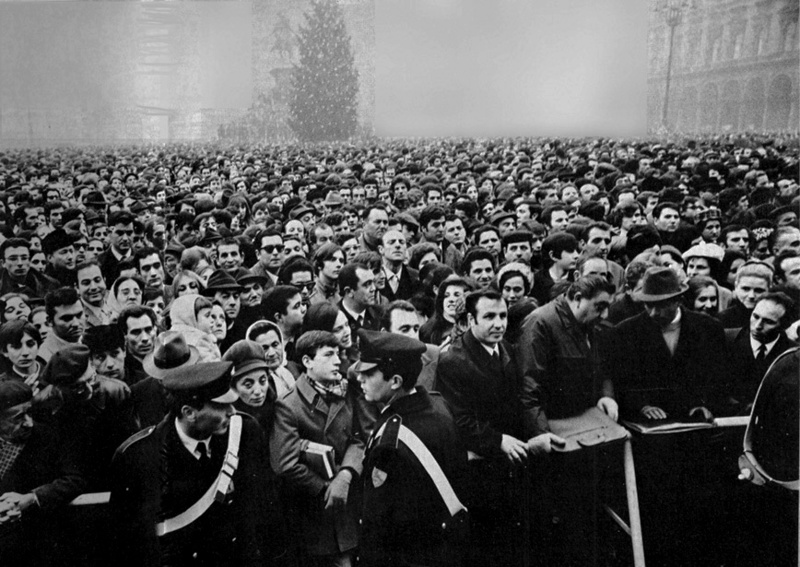 Thousands of Milanese huddled in the cathedral square. The Duomo was overflowing with people. The archbishop of Milan, Cardinal Giovanni Colombo, officiated at the funerals of the 14 victims. Prime minister Mariano Rumor represented the State, while mayor Aldo Aniasi represented the city. Absent from the Piazza del Duomo on the morning of 15 December was a figure of some importance in this affair — not only important but crucial: the unwilling protagonist, Pietro Valpreda. Valpreda was a 36 year old Milanese anarchist who, in his younger days, had lived in the Via Civitale in the San Siro district, a few hundred metres from the first marital home of Pinelli and his wife Licia Rognoni. Valpreda lived the typical life of a suburban kid. He had a couple of convictions: in 1956 he had been sentenced to four years in prison by the Milan court of assizes for armed robbery and a second conviction, for smuggling, dating from 1958. He began taking an interest in political and social issues after his release and devoted himself to reading the works of anarchist thinkers: Mikhail Bakunin, Peter Kropotkin, Errico Malatesta. 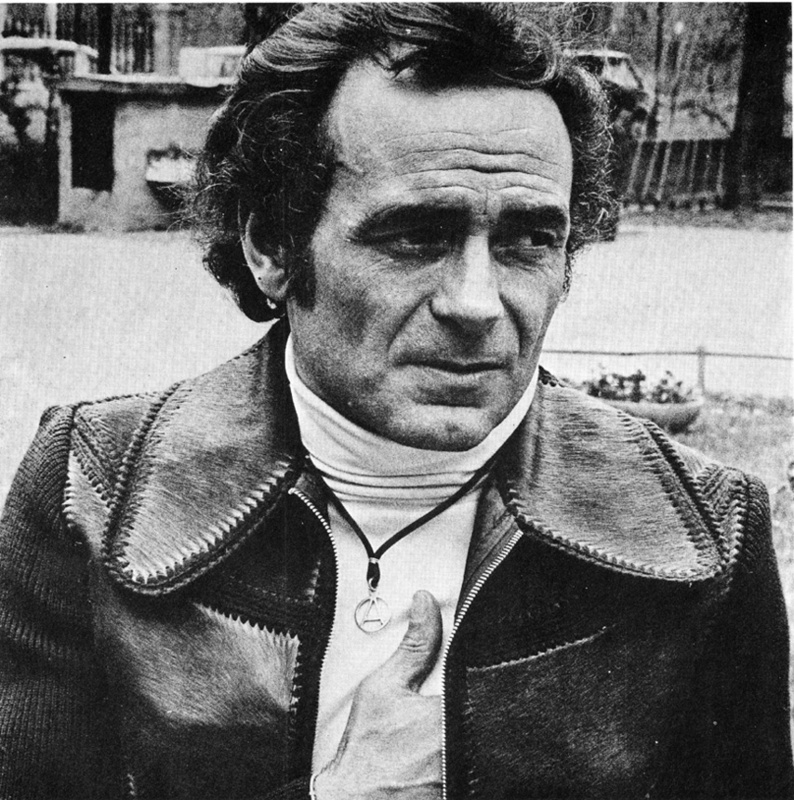 He also studied modern dance and toured with a few cabaret acts. He had also had the occasional television booking. In the early 1960s poor circulation forced him to undergo an operation on his legs His involvement with the Milan groups was fitful, but when he was in Milan he usually sought out the anarchists from the Circolo Sacco e Vanzetti at 1, Viale Murillo near the Piazzale Brescia. 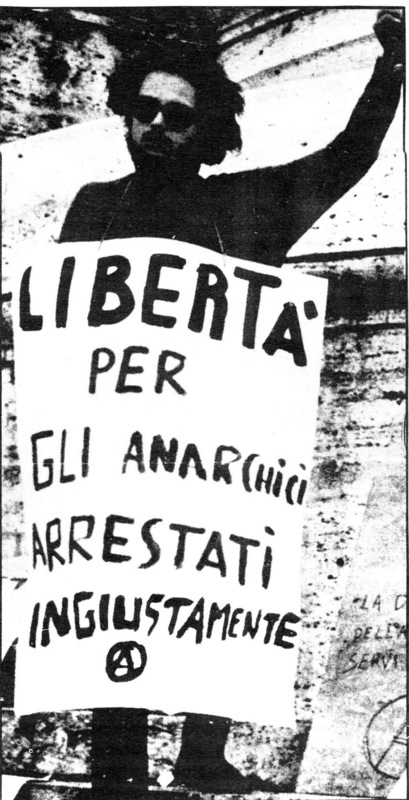 From May 1968 onwards, he began calling in at the Circolo Ponte della Ghisolfa, the Milanese anarchists’ new premises. Valpreda was of average height, agile, ever ready with a witticism spoken in a typical Milanese accent with its slightly rolled ‘r’. Early in 1969, he moved to Rome where he began to frequent the Circolo Bakunin, groups affiliated to the FAI (Italian Anarchist Federation). After falling out with them, he broke away, with Mario Merlino, Roberto Mander, Emilio Borghese, Roberto Gargamelli and Enrico Di Cola to set up the Circolo 22 Marzo at 22, Via del Governo Vecchio. By now his theatre work had dried up and he was to all intents unemployed, so he joined with Ivo Della Savia (who was replaced by Giorgio Spano when Della Savia left the country in mid-October) to open a retail workshop in the Via del Boschetto where he made liberty lamps, jewellery and necklaces. Among the materials he used were coloured glass settings. Curiously, one very similar to them turned up in the bag containing the bomb at the Banca Commerciale. Valpreda had also been in Milan from 7 to 12 December, having left Rome the previous evening to answer a summons from judge Antonio Amati. At eight o’clock on 15 December, Valpreda, accompanied by his grandmother Olimpia Torri, went to the chambers of his lawyer Luigi Mariani at 39 Via San Barbara. He was due to report to Amati, the investigating magistrate handling inquiries into the 25 April bomb attacks at the Fair and at Milan’s Central Station. Amati considered himself an expert on anarchists and attentats. Shortly after the Piazza Fontana explosion, he ‘knew’ immediately that it had been a bomb and that that nobody but anarchists could have planted it — and said as much in a telephone call to the investigating officers at Milan police headquarters. Valpreda made his way to the Palace of Justice with Mariani and Luca Boneschi, another of his lawyers. The two lawyers left him there, arranging to meet after the questioning. Valpreda left his grandmother to wait for him and knocked on the door of Amati’s chambers. This was at 10.35 am. In he went to be greeted by the judge with an exclamation of: “Ah, there you are!” “Yes, I was in Rome so couldn’t come any earlier. You know, I’m a dancer and actor and I have to move around for reasons of work”, Valpreda replied. Judge Amati cut him off with a flurry of questions: “But who are you anarchists? What do you want? Why this great fondness of yours for blood?” This exchange (real or imagined?) took place in the judge’s chambers, but somebody got wind of it and it was to turn up in the columns of the following day’s Corriere della Sera. 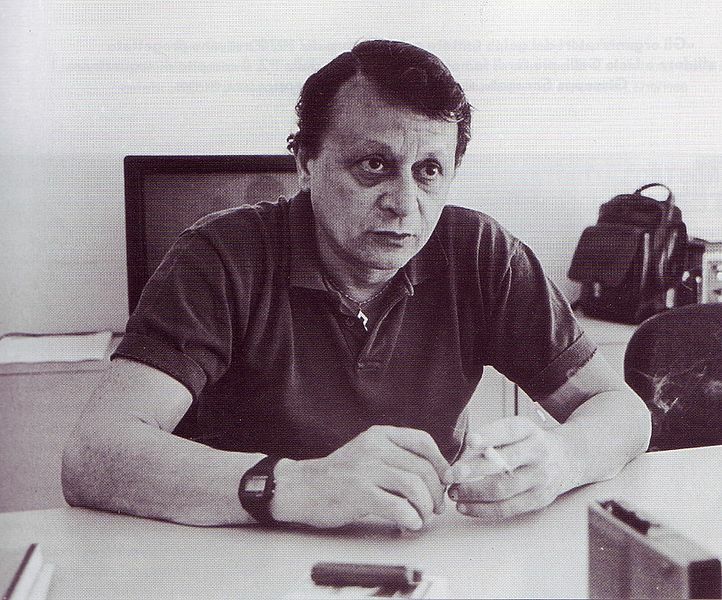 It was Giorgio Zicari, a very particular brand of reporter. At the time, in 1969, he was a secret service informant, but he was not so much an inform-ant as an inform-ee, someone through whom the secret services funnelled news or — rather — confidential whispers. Zicari had been in the right place at the right time — as he would be on many subsequent occasions: he had apparently exclusive access to confidential information from police headquarters and the courts. From his privileged vantage-point, Zicari watched as Valpreda left after being interrogated by Amati at 11.30 am. He watched as Valpreda was led away by two police officers who held him, forcibly, under the arms and took him to a side-room of the court where he was handcuffed and taken to police headquarters. Valpreda’s grandmother, Olimpia could not understand what was going on. She called out to ‘my Pietro’ but the policemen marched him off to the Via Fatebenefratelli where, after a brief interrogation, he was left on his own in a room. He was then taken to Rome’s police headquarters in the Via San Vitale there where Umberto Improta, a Special Branch inspector (who later went on to become police chief of Milan) was waiting for him, Alfonso Noce, another police officer, police brigadieri Remo Marcelli and Vincenzo Santilli who took the first official statement at 3.30 am. on 16 December. Prior to that, however, between 2.00 and 3.00 am., Valpreda had gone with the officers to a field adjacent to the Via Tiburtina to search for an explosives dump, but nothing was found. Why did Valpreda make that admission? Simple. Mario Merlino had been the first of the 22 March group to be questioned by the Rome police, but as a witness not as a suspect. When questioned, again as a witness, Merlino (who would later be indicted with Valpreda and the other anarchists from the 22 March Group) said other things that were to condemn his comrades. Here is the first contradiction. If Mander had ready access to the famous dump, why did he need explosives? And why had he turned to Mario Merlino? It is a mystery, one that Mander himself, a 17 year old high-school student, the son of an orchestra leader, tried to dispel in a 15 December interview with the police: “On 28 November, the day of the foundry workers’ strike, I mentioned to Merlino the possibility of bombs being set off to create incidents. That is to say, we discussed if it might help the foundry workers in the event of clashes with the police. But who was this Merlino character who was so determined to throw suspicion on to his comrades? He was a 25 year-old philosophy graduate, son of a Vatican employee (employed by the Congregation for the Propagation of the Faith department). 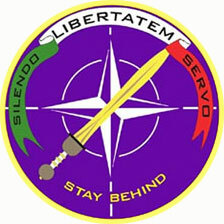 In 1962, at the age of 18, Merlino had been active in far right groups, especially Stefano Delle Chiaie’s Avanguardia Nazionale. He also had connections with Pino Rauti, the Ordine Nuovo founder who now leads the Movimento Sociale Fiamma Tricolore and with the MSI deputy Giulio Caradonna. 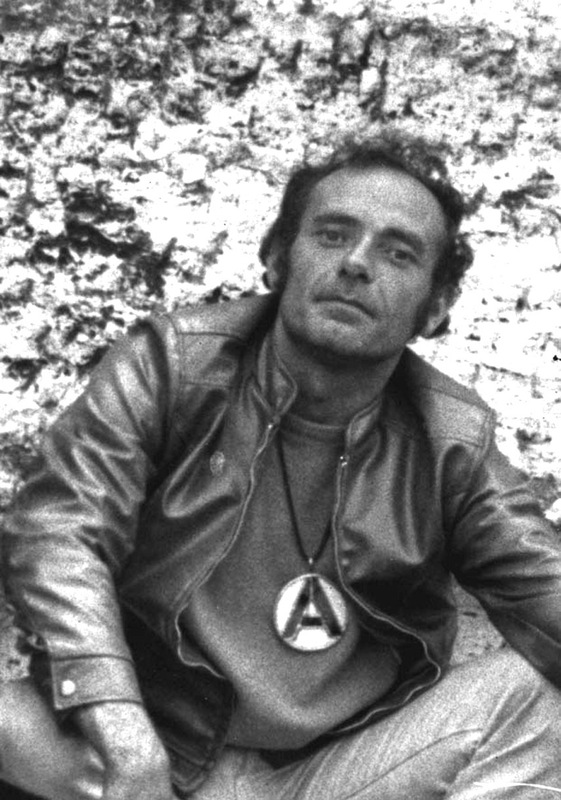 Caradonna, a prominent hard-line Italian fascist, led the 200-odd Giovane Italia (Young Italy) activists (Mario Merlino among them) in the 17 March 1968 fighting with the leftist students squatting in the Faculty of Letters at La Sapienza university in Rome. In April that year Merlino had gone to Greece on a trip sponsored by the ESESI, the league of Greek fascist students in Italy — organised by Pino Rauti and Stefano Delle Chiaie. On his return, Merlino underwent a political conversion. He adopted the dress of the more radical left, grew a beard and moustache and began frequenting groups from the extra-parliamentary left. He launched the Circolo XXII Marzo, which led to the later Circolo 22 Marzo. He distributed leaflets singing the praises of the student revolt in Paris and carried a black flag emblazoned “XXII MARZO” at a demonstration outside the French embassy. By September 1969 he was a member of the Circolo Bakunin in the Via Baccina, where he made no secret of his fascist past, claiming he was an ex-camerata — as well as being an anarchist sympathiser. 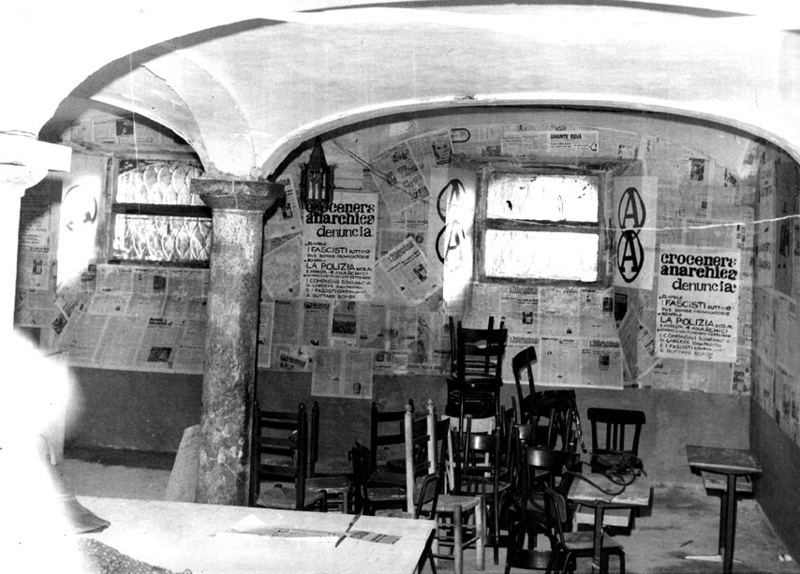 Within the Circolo Bakunin he associated with those militants who complained the most about its political line and by the end of October he joined with these to launch the Circolo 22 Marzo. Merlino remains to this day a figure who defies description. Even after they had been arrested and jailed, Valpreda persisted in defending Merlino, arguing that even a fascist had a right to a change of mind and that the climate created by contestation had shattered many of the certainties of members of the far right. “There was a spy in our ranks […] The police knew our every move and whatever was said at the Circolo”, Valpreda wrote to his lawyer Boneschi on 27 November 1969. His intuition was correct, but Valpreda did not yet know the identity of the spy who so diligently briefed the police on everything being done by the young anarchists from the ‘22 Marzo’. Who was it? It was “comrade Andrea”. That was the name by which the anarchists from the Via Governo Vecchio knew him. His real name was Salvatore Ippolito, he was a public security agent given the task of infiltrating the Roman anarchists. Two people — Merlino and Ippolito — therefore were monitoring the tiny group. The former reporting to Delle Chiaie, the latter to his superior officer at police headquarters, commissario Domenico Spinella. But the ace up the police’s sleeve was neither of them. 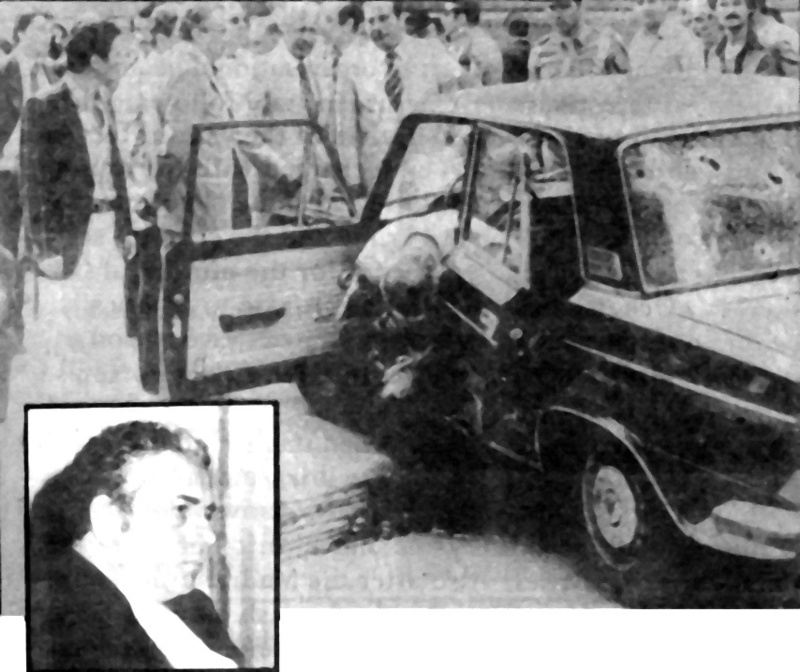 It was “super-witness” Cornelio Rolandi, a Milan taxi-driver. Rolandi approached the carabinieri and then the police to make a statement. He claimed to have driven the man who planted the bomb in the Piazza Fontana. Rolandi was taken to Rome, where he arrived at 5.00 pm. on 16 December, and an identification parade was hastily organised. Valpreda was lined up with four policemen (Vincenzo Graziano, Marcello Pucci, Antonino Serrao and Giuseppe Rizzitello). 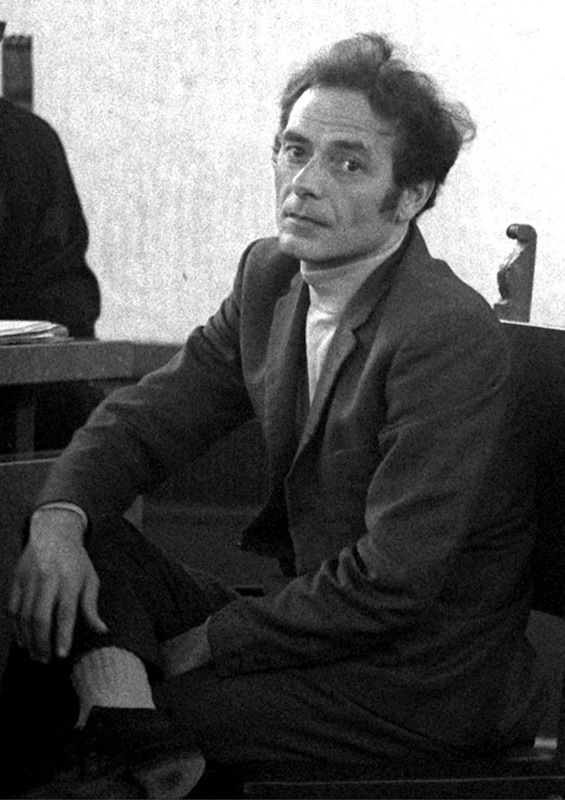 Also present were: Rome prosecutor Vittorio Occorsio (who was to perish on 10 July 1976 at the hands of an Ordine Nuovo commando led by Pierluigi Concutelli and Gianfranco Ferro) and Guido Calvi, Valpreda’s defence counsel. 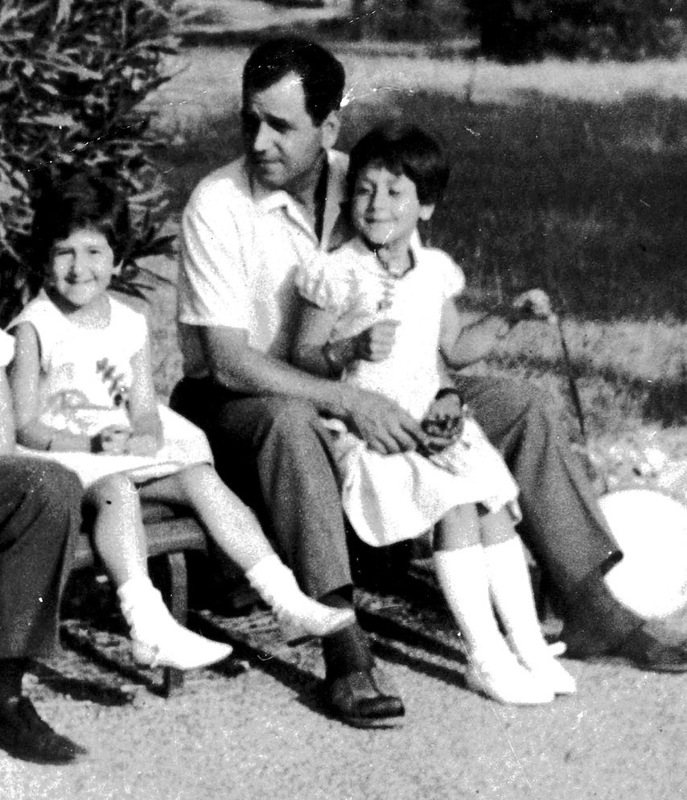 Giuseppe Pinelli and daughters, 1960s. GIUSEPPE PINELLI had been at home at 6.00 a.m. that 12 December. Home was the apartment at 2, Via Preneste in Milan, in the San Siro district, a strange mixture of mansions, small bungalows with gardens, swimming pools and petit bourgeois condominiums. Pinelli had just come off the night shift where he was a driver in the goods yard at the Porta Garibaldi station. One hour later his wife Licia woke their daughters, Silvia and Claudia, made them breakfast and walked them to school. Then she did some errands before returning home. At around 11.00 a,m., they had a caller whom she disliked — Nino Sottosanti. Licia was washing the floor. “Go through and I’ll wake him’, she told Sottosanti. Then she left to collect the girls. 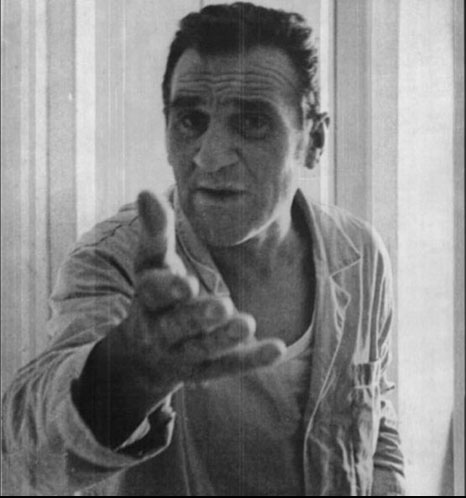 By the time she returned, Pinelli and Sottosanti were discussing the case of Tito Pulsinelli who was in jail with some other young anarchists in connection with the 25 April 1969 bombings at Milan’s Central Railway Station and the Milan Show ground. 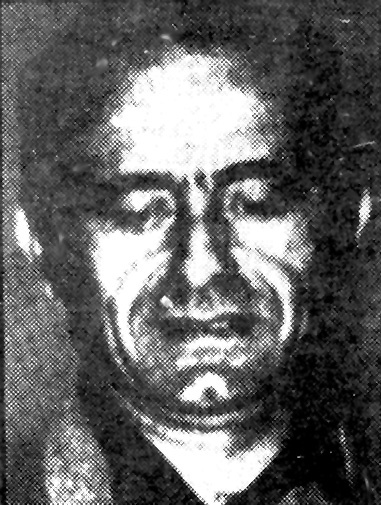 Pulsinelli was also accused of being the perpetrator of the attack on the Garibaldi police barracks on 19 January 1969. Sottosanti was in a position to provide Pulsinelli with an alibi for the night in question. Why? Sottosanti was infatuated with the young Pulsinelli and they had spent the night of the attack together. 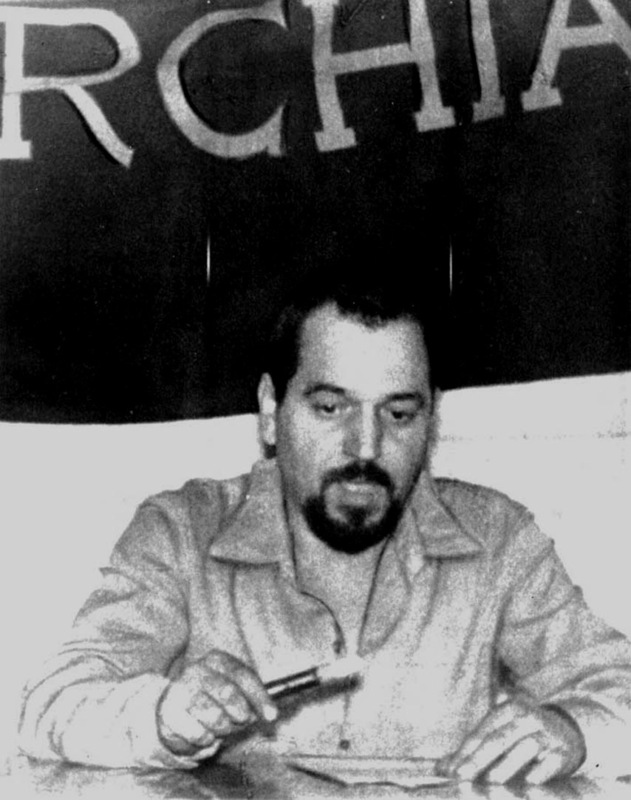 Pinelli, a founder member of the Croce nera anarchica (Anarchist Black Cross), was obliged, in that capacity, to come into contact with this ambiguous individual whose friends included a number of far-right extremists. 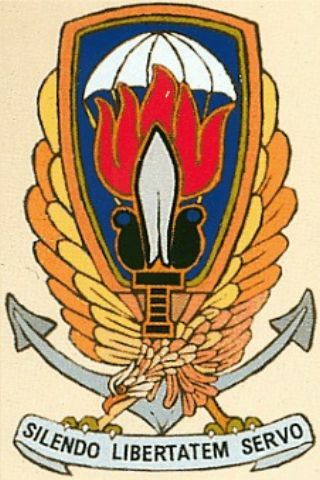 Sottosanti, a former Foreign Legion volunteer, was an admirer of Benito Mussolini and a one-time caretaker at the premises of Nuova Repubblica. At the rallies that were held from time to time in the Piazza Duomo, Sottosanti was known simply as “Nino the fascist” or “Nino the Mussolinian”. At 2.00. pm., Pinelli and Sottosanti left to change a 15, 000 lire money order for Sottosanti, reimbursing him for his travel expenses. The order was drawn on the Croce nera account with Bureau No 11 at the Banca del Monte in Milan. First they stopped for a coffee at a bar in the Via Morgantini. The pair went their separate ways in the Via Pisanello, where the bank was located. Sottosanti left for Pero where Pulsinelli’s parents lived. According to Lucio Pulsinelli’s statement, he arrived there at 4.30 pm. Pinelli caught the No 13 to the Porta Garibaldi station where he posted a letter to Paolo Faccioli, another of the anarchists arrested in connection with the 25 April attacks. At this point a reconstruction of Pinelli’s afternoon becomes complicated. A few patrons of the bar in the Via Preneste — Mario Magni, Mario Pozzi, Luigi Palombino and Mario Stracchi — insist that Pinelli played cards with them from 3.00 to 3.30 until around 5.00 – 5.30, confirming the alibi Pinelli gave to brigadiere Carlo Mainardi, who questioned him. But the examining magistrate, Gerardo D’Ambrosio, in his findings of 27 October 1975 (the one that cleared all those connected with Pinelli’s death, inventing a new category in world medicine — “active misfortune”) argues that these witnesses are confusing events with the previous day. He focused on the fact that the bar owner, Pietro Gaviorno, refuted their statements and insisted that Pinelli had coffee with a stranger and then left. In any event, after playing cards, or not, Pinelli made his way to the Circolo Ponte della Ghisolfa premises at 31 Piazzale Lugano where he met Ivan Guarnieri, another Croce nera (Anarchist Black Cross) member, and another young anarchist, Paolo Erda. At what time? Sometime between 5.00 and 6.00 p.m.
Pinelli travelled by motorbike, a Benelli, as usual. It was past its best, but it was his pride and joy. He drove to the Circolo in the Via Scaldasole, arriving shortly before 7.00 p.m. This was a recently opened anarchist meeting place in a basement of a crumbling apartment block close to the Porta Ticinese. There was much restoration work yet to be done. Pinelli also wanted to speak to an anarchist recently arrived from Sardinia, Sergio Ardau, whom he knew he would find there. Before reaching the Circolo, Pinelli, a chain smoker, stopped to buy some cigarettes. It was from the tobacconist that he first heard the news about the Banca dell’Agricoltura. Pinelli found Ardau at the Via Scaldasole, but he was not on his own. With him were three police officers led by the deputy head of the Milan political police squad, Dr. Luigi Calabresi. This was the conversation as remembered by Sergio Ardau. Pinelli, meanwhile, was following behind on his motorbike. It would be his penultimate trip. His final journey would be from a fourth floor window of police headquarters in the Via Fatebenefratelli.